Last week, VPI pet insurance reported on a U.S. Environmental Protection Agency announcement that counterfeit flea prevention products are being illegally imported into the USA. Peeps, our mom is researching these treatments for an upcoming Monday Medical Issues post and let us tell you, this is extremely dangerous - and can be deadly. These phony medications are posing as "Frontline" and "Advantage" products. 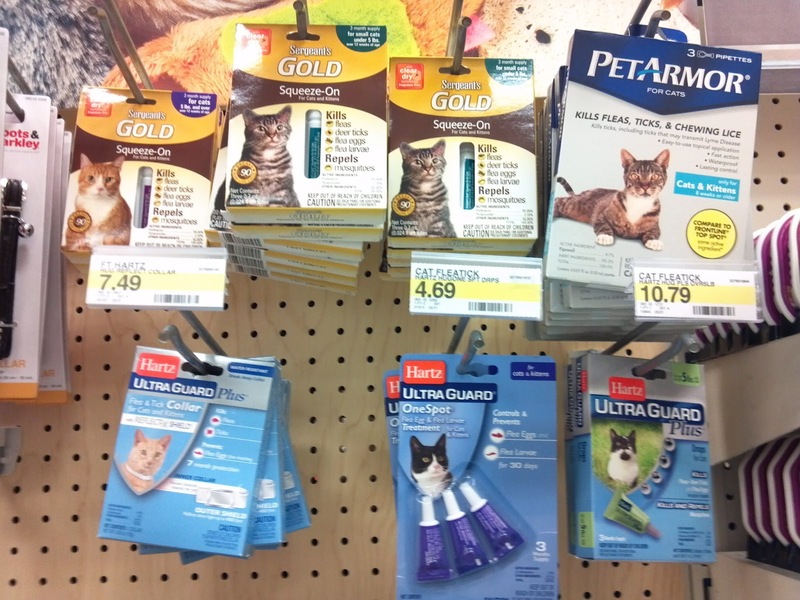 These brands are sold in many pet retail outlets and online stores. Some of these counterfeit products substitute ingredients that can be deadly, especially for cats. According to the EPA, the only way you can tell if a package is legit is to physically examine the applicator tubes. Look for revealing differences which are listed in the EPA's fact sheet. You can download this fact sheet as a PDF file from the EPA's page on counterfeit pet pesticides by clicking on the image below. If you'd like to read the full story as VPI pet insurance reported it, you can click here - they also list how you can learn to identify the real from the fake. Gosh , never heard of such a thing. Have a great Monday. Wow, it's scary and sad to think that unsafe products are lurking out there. It pays to be vigilant. Thanks for the info! Thanks for the heads up - I wonder how these things get into stores in the first place! Wow...this is scary. I always buy my flea prevention products at the vet, do you think that those are safe? Yes, very scary1 We buy ours from the vet, too, and they should be okay. But if you're concerned, the fact sheet shows you what to look for in the packaging to identify real vs. fake. And it never hurts to check, anyway! Thanks for this info. I wonder whether this is the same in the UK? I do buy all the gunk from the vet though, so hopefully is ok!! If you buy from an online pharmacy, always look for the Vet-VIPPS accreditation. It looks like a gold seal. Daisy - thank you for this information! GOOD to know!! That is some darn scary stuff!!! Thanks so much for the warning. We hadn't heard of this before and we've saved it in our favorites. Thank you for the warning. We wonder if it applies to those out of the US? What´s wiff humans , that sell fake products that could get us cat´s killed ??! !